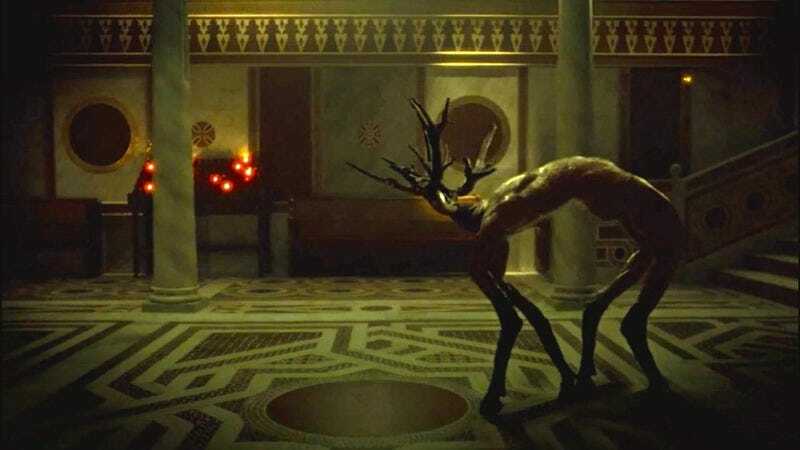 Last night’s episode of Hannibal, “Primavera, ” brought the stag back, but this time with a twist—unlike previous visions of a strong and able animal, this one was birthed out of a human torso. And as if the beautifully gruesome visual wasn’t enough of a gift, Hannibal tweeted a GIF of the stag and suggested it be accompanied by RuPaul’s “Cover Girl.” Luckily, HitFix took the advice and added audio to the image. The horrifying result can be experienced below.